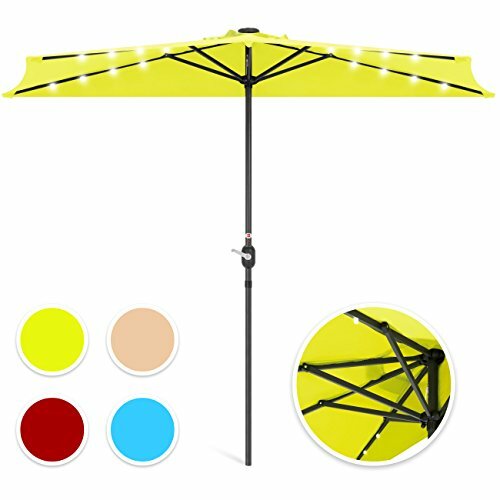 Upgrade any outdoor space with this half umbrella. Enjoy a sun-shiny day in the shade or even a starry night with its energy efficient, solar powered LED lights. This outdoor essential provides soothing shade with a simple turn of a handle. Bright or dark, you'll always have a reason to relax.